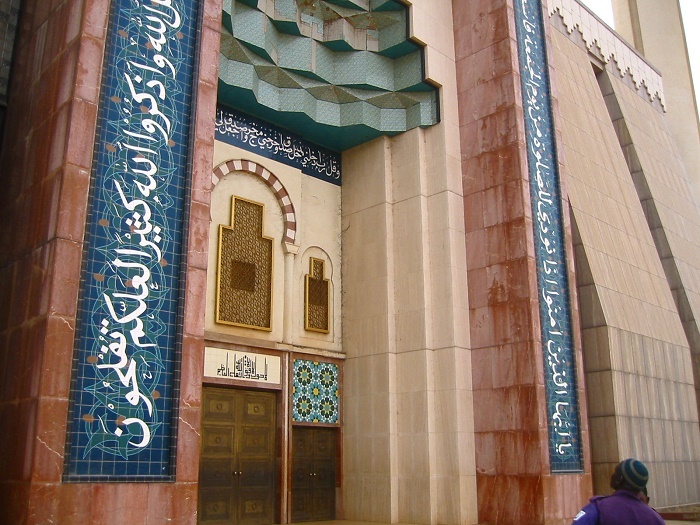 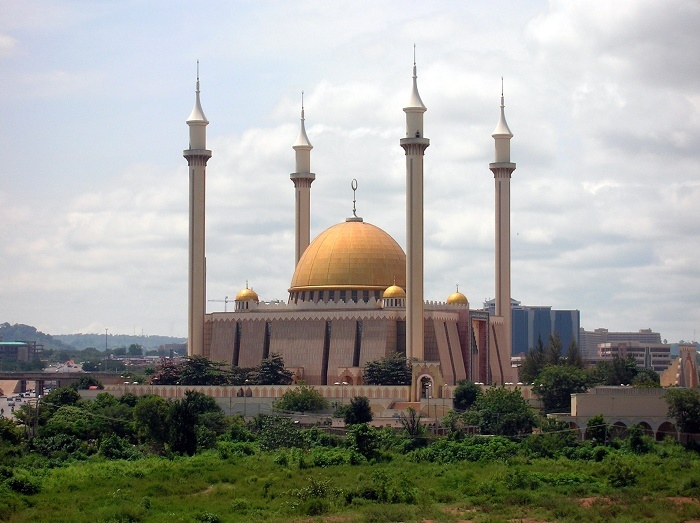 The Abuja National Mosque, also known as the Nigerian National Mosque, is the main national mosque that is located in the capital city of the Federal Republic of Nigeria, Abuja. 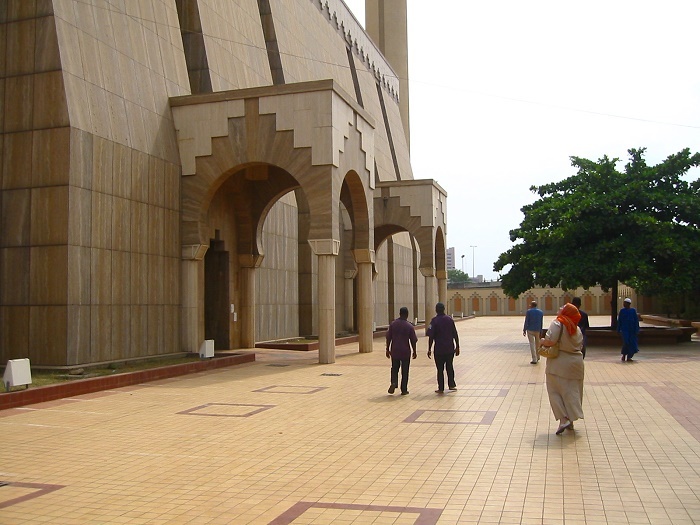 What is interesting is the location of the mosque, on the Independence Avenue, right across from the National Christian Centre, which is something that can not be seen around the world. 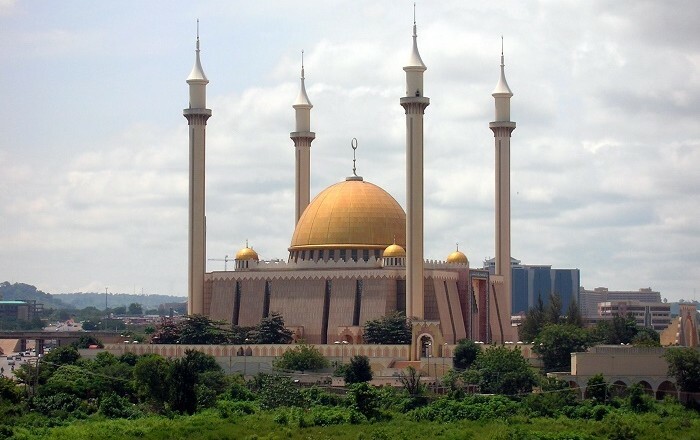 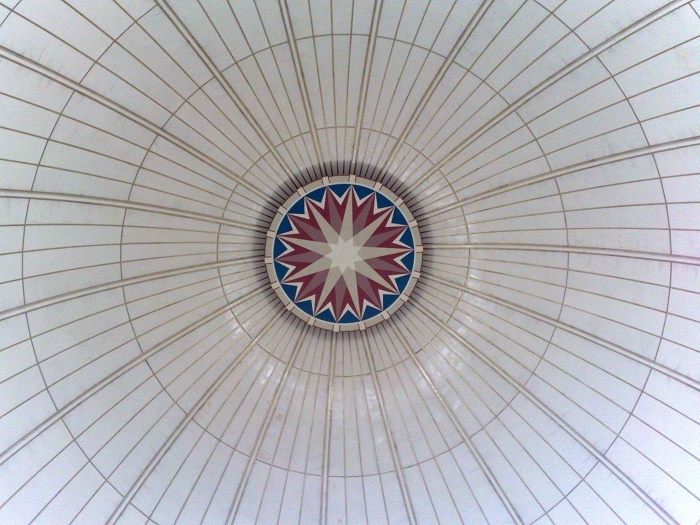 Built in 1984 in accordance to the design of the Lodigiani Nigeria Ltd., there are five golden domes, one large and four small, and in addition there are four different minarets, each on every corner of the religious building, 120 meters (394 feet) in height. 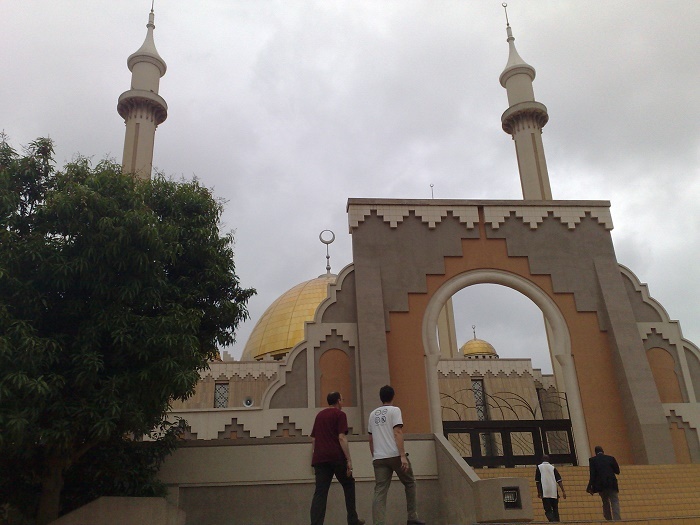 The mosque was built with the decision of the government, when it was decided to move the capital city from Lagos to Abuja, and it was necessary to have some place in which the worshipers can say their prayers. 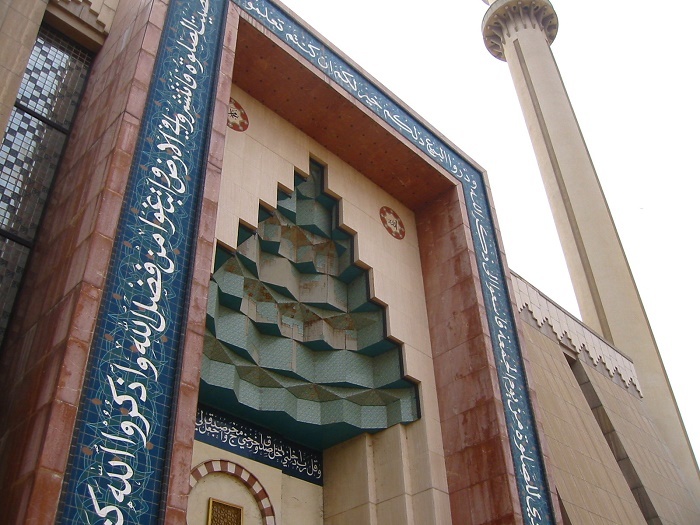 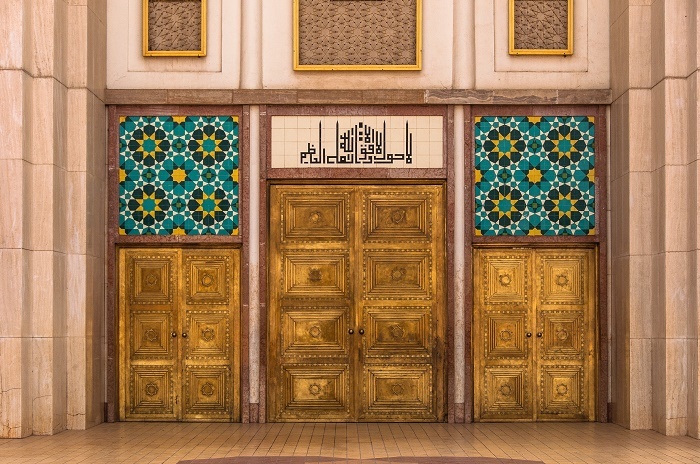 The architectural style of the mosque follows the traditional way of building mosques, however, there are some modern elements that were included on the building to make it more interesting to the eye, combining it with the very traditional style. 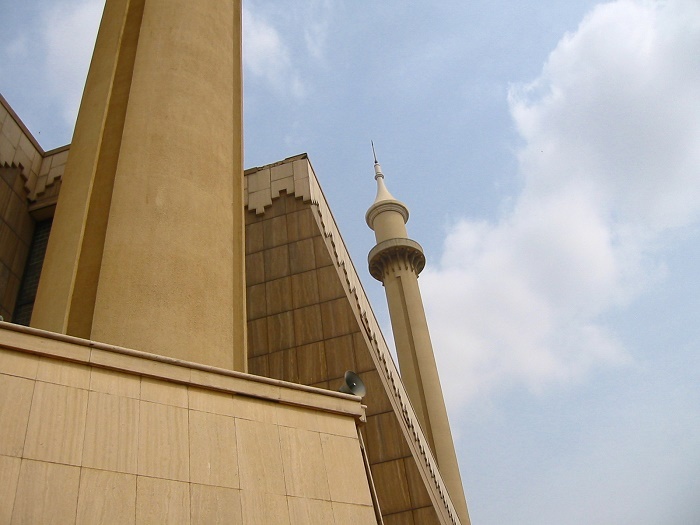 Being an impressive sight in the capital city, this huge and shiny structure is a big landmark that makes every single Nigerian to be proud of, and the whole complex is also open to the non-Muslim public who would like to visit the interior, however, during congregational prayers they are not allowed in. 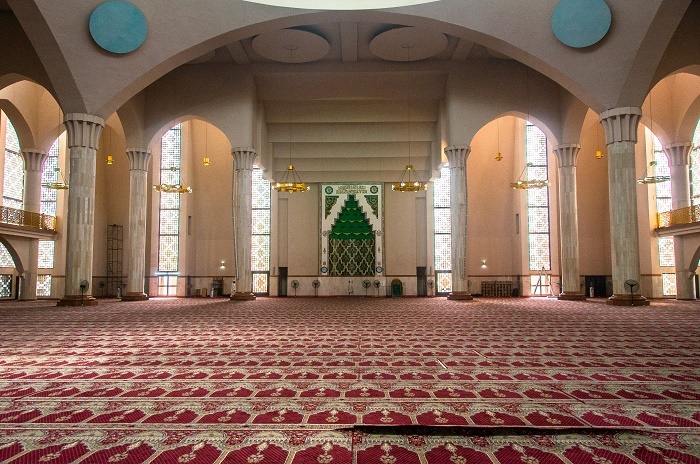 The Abuja National Mosque in its entirety as a complex contains also a conference center for 500 people, the Office for the Islamic Center, together with the residential facilities for the imam and muezzin. 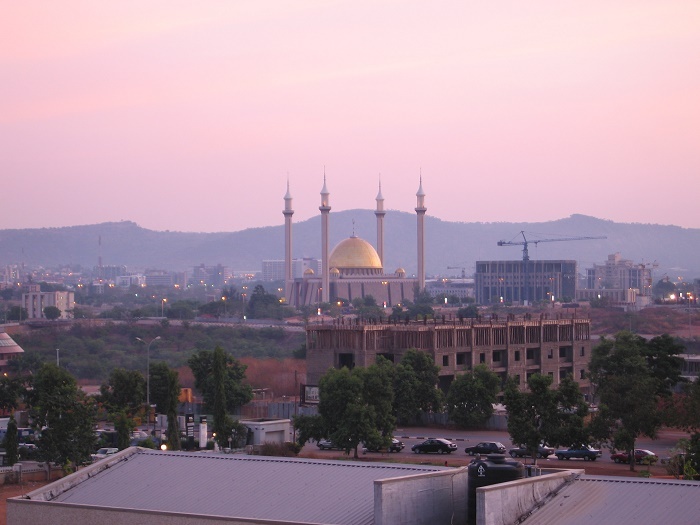 Dominating Abuja’s skyline, this is definitely one of the very impressive, alluring religious buildings that can offer every visitor a religious peace, as well as piece of history from the great capital city of Nigeria.